If your business already has a presence on your chosen social media profiles or if you are just starting out, you know that you have to post great valuable content continually and consistently to attract new followers and retain the ones you have. You also know that social media is a hungry content machine! Creating and publishing great content on a regular basis can be quite overwhelming and is a lot of work, so you need to get organized and figure out a schedule that works for your business with a (1) content strategy and (2) a content calendar. This is very important if you are a single business owner or a small business with a few employees. Are you going to do this yourself, task an employee to do this, or outsource? If you don’t already write a blog, then consider starting one very seriously! 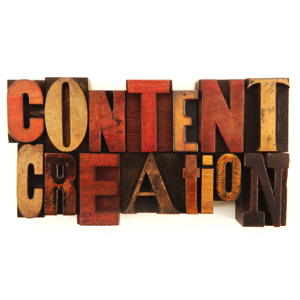 Blogging forms the infrastructure of your content strategy. Once you write a blog – every week, bi-monthly or even once a month – you will have 70% of your content for that whole month. It’s called repurposing your content! Just break down your blog into many different mini posts for Facebook, Twitter, Linkedin or other social media profiles. Viola! You have 70% of your content. Added benefit: Blogging boosts your SEO rankings. Google LOVES blogs – it’s new fresh unique content that Google loves to serve up in search results! Second, you need a content calendar. 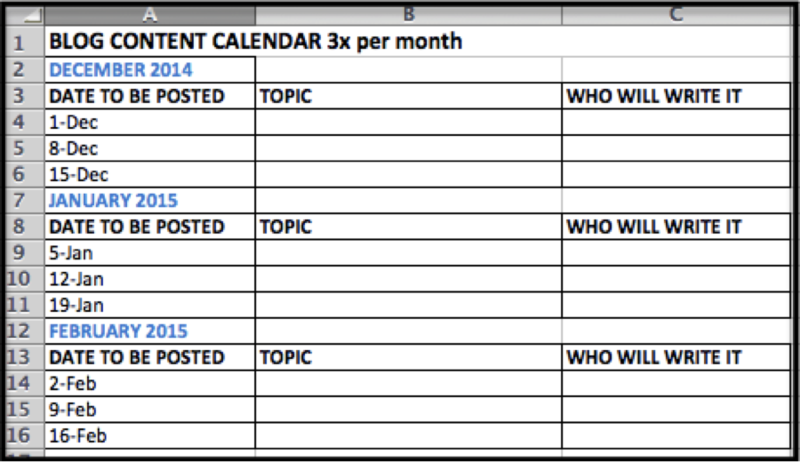 This helps you with strategies for content creation and content curation, as well as an editorial calendar. We always talk about making content more engaging, but never quite realize the importance of consistency. Too often, companies randomly publish a few appealing posts and tweets here and there rather than forming a system for regular content publishing. Posting content in this random way will not lead to social media success for your business. When you’ve got a content calendar that you commit to, social media marketing becomes a lot less daunting. Note: TWEAK your posts to suite that particular social media platform. Facebook and Google+ are more conversational. Linkedin is more professional. Twitter is 140 characters. Remember the 80/20 Rule: Make sure your content consists of 80 percent value, 10 percent about your company/product/services. You can schedule your updates with Hootsuite, Post Planner, Buffer, Tweetdeck. Remember: schedules updates are no substitute for real-time engagement across social networks. It’s critical to be responsive. Developing a social media content strategy with a monthly content calendar will ensure that you are posting content consistently. This leads to both community growth and increased opportunity for engagement as fans and followers react to the published content. These two goals should always be at the center of your social media strategy. Sign up HERE to get my blogs directly to your inbox! I keep them practical and useful to help you get results for your business.